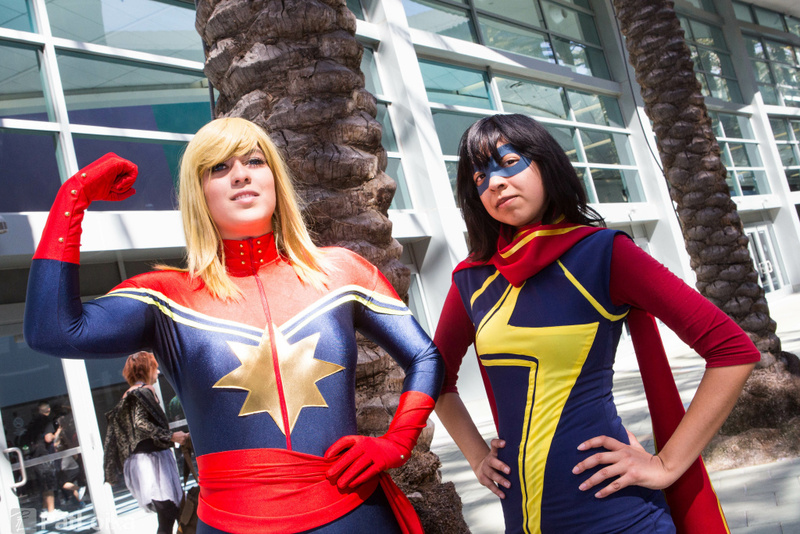 Fans cosplaying as the Marvel version of Captain Marvel, alongside Ms. Marvel, at WonderCon Anaheim 2015. Next weekend, March 25-27, thousands of people will be gathering at the L.A. Convention Center for one of the biggest comic book conventions. It's called WonderCon 2016, it's run by the same nonprofit that puts on San Diego Comic-Con and it's in Los Angeles for the first time. 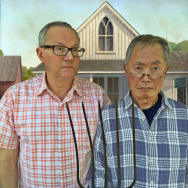 KPCC's Mike Roe, who covers pop culture online and on air, will be reporting from WonderCon all three days. He came by Off-Ramp to prep us for the convention. Why is it called WonderCon and how is it different from Comic-Con or Anime Expo? 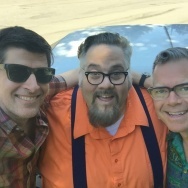 The name is a holdover to back when it was called the "Wonderful World of Comics Convention," before that got branded as just plain "WonderCon." It's like a little brother to San Diego Comic-Con, with many saying that it's historically run around five years behind the level of Comic-Con. That means that it's easier to get tickets and easier to get into panels to see the creators and stars that you're interested in — though its growth in recent years has made that more difficult, just like Comic-Con. Why is it a big deal that it's here in L.A. next weekend, instead of Anaheim where it was the last few years? The convention started out in the Bay Area before moving to Anaheim and, now, L.A. Both Anaheim and L.A. have expressed an interest in wooing San Diego Comic-Con away from San Diego, and working with the same company that runs Comic-Con on a convention with around half the attendees could be L.A.'s chance to show Comic-Con that they should make a move the next time their contract comes up. When WonderCon coming to L.A. was first announced, L.A. Mayor Eric Garcetti dropped hints about his desire to bring their main convention up north. "We look forward to establishing a long-term partnership with Comic-Con International, the presenter, and helping them establish a home-base in L.A. We anticipate the show to be highly attended and to set the precedent for future successful Comic-Con events in L.A."
Comic-Con is locked into San Diego through 2018, but a stalled expansion of San Diego's convention space combined with contentious negotiations over hotel prices and getting discounted hotel blocks for congoers means that Comic-Con could be open to a move to somewhere like L.A., Anaheim or Las Vegas, which has also been part of the discussion thanks to better hotel availability and more convention space. 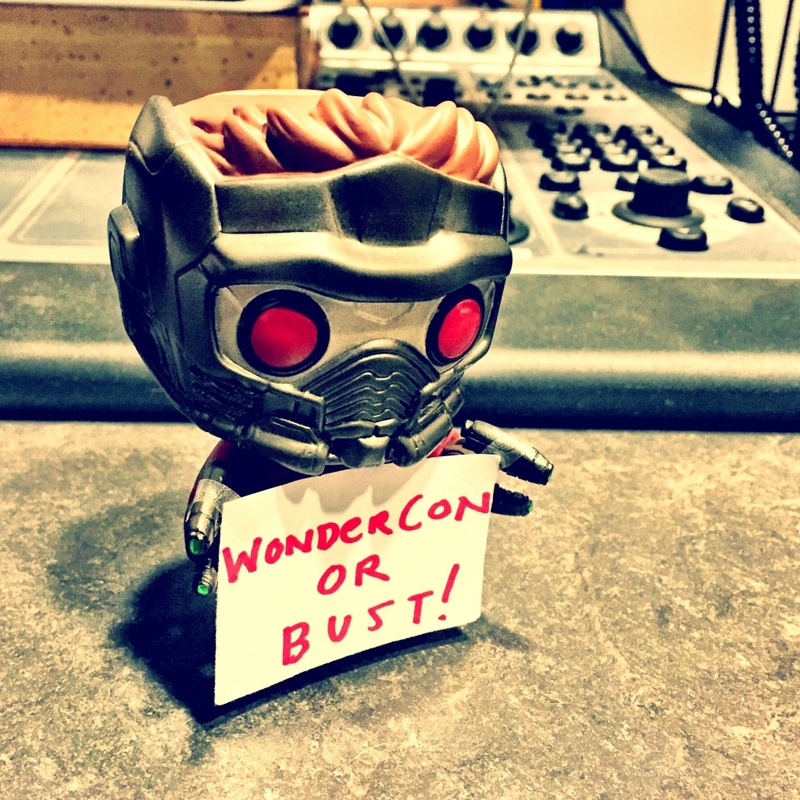 Star-Lord needs a ride to WonderCon 2016 in Los Angeles next weekend. Marvel is the big name now in comics, but DC has big plans for WonderCon. While movies and TV usually dominate conventions these days, DC is trying to make waves with a press conference announcing the creative teams on their relaunch of their entire comic book line, which they're calling "Rebirth." It comes five years after "The New 52," their last relaunch, which led to increased sales at the time. The new relaunch is rumored to tie the comic books more closely in with DC's efforts in TV and film, as well as bringing back more of the old comic book continuity from before the New 52 reboot. It's part of an effort to take their success in those other arenas and funnel it back into comics, as well as building more ideas in the comic book world that could be used in future projects in other media. DC Comics' Geoff Johns has said that the relaunch is targeted at longtime comic book fans, while also aiming to make sure that new readers don't feel too lost. Some of the new creators are being kept under wraps, with fans hoping they'll land some big names who aren't currently part of DC Comics. Many of the details of what this relaunch entails are being kept quiet, but it includes launching new books, putting out some of their existing books more often and doing more as they try to recapture market share from Marvel in the comics world. The very first panel Friday at WonderCon gets at the heart of why so many people love superheroes. It's called "Can caped crusaders inspire you to find your inner courage?" and it explores topics like bullying, online harassment and hate crimes. Amnesty International is even attending. One thing that Comic-Con International, the nonprofit that oversees both San Diego Comic-Con and WonderCon, has done in recent years has been to hold more panels taking an academic look at comic books, other genre entertainment and fan culture. It gives fans a chance to learn and think more about the heart behind the entertainment that motivates them as fans and that drives the creators. Comic books can have a real influence on people's lives — writer Grant Morrison shared with Off-Ramp in 2014 how a Superman story he wrote literally saved lives, inspiring those who had thought about suicide. "One of my proudest things is that the Superman scene that we did in 'All-Star Superman,' where he saves the young goth kid from suicide, has actually saved real people's lives in the real world. And to me, if I do nothing else in my life, I've saved some kid's life by writing that scene," Morrison told Off-Ramp. "That shows that Superman doesn't have to be real in order to do good things, and that kind of justifies my take on these characters, in that they don't have to be real, but they can still inspire us."